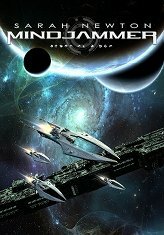 Mindjammer – The Roleplaying Game out now! We’re delighted to announce that Mindjammer – The Roleplaying Game is out now! Pre-order the game today, and receive the Thoughtcast Edition pre-release PDF immediately, the production PDF at the end of February, and the bumper 496-page hardback when it ships at the end of March.